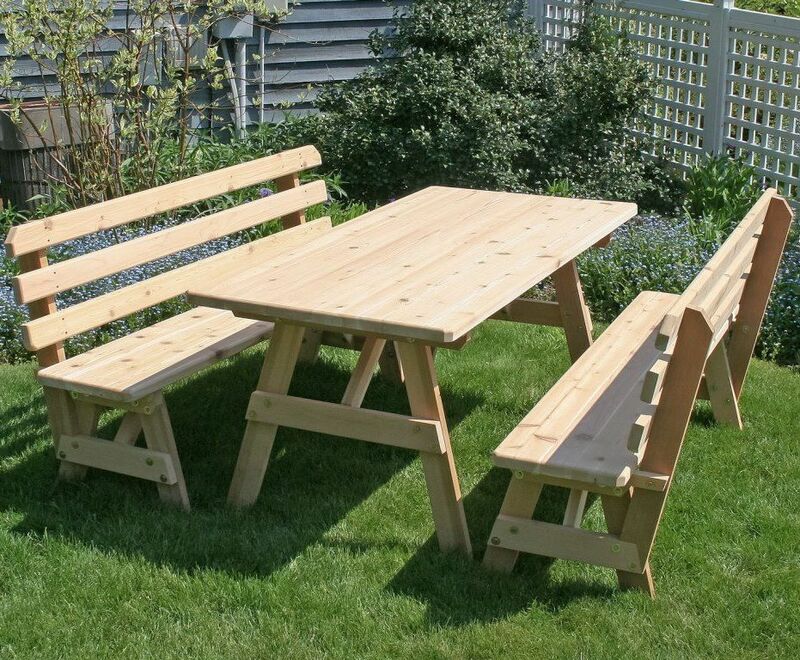 The broad Cedar Wood Classic Picnic Table and Backed Benches from Outdoor Furniture Plus will provide ample room for lots of food and folks. Measuring a generous 32 inches wide, the table is available in 4’, 5’ or 6’ lengths to suit your space and numbers. 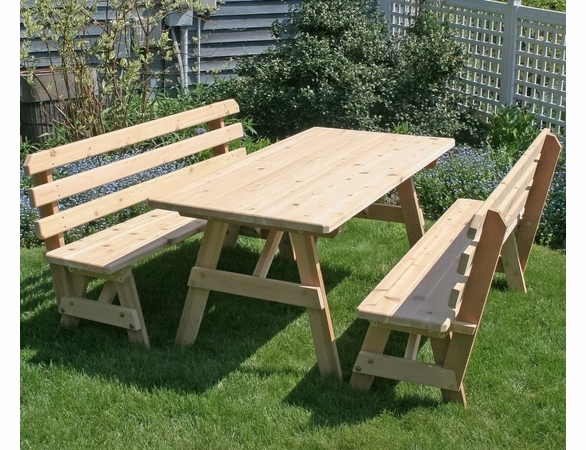 The matching benches provide plenty of back support and look great too. Cedar is famous for its natural resistance to insects and weather, meaning you will enjoy this set for years to come.